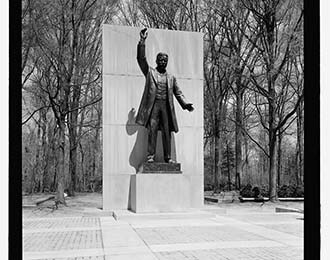 Theodore Roosevelt Island Park is an 88.5-acre National Park and living memorial dedicated to our 26th U.S. President, fitting for a man who was well-known for his manliness and love for his The Great Outdoors. President Roosevelt himself was a hero of conservation, securing over 234 million acres of wilderness for generations of American's to enjoy, including Yosemite, the Grand Canyon, and Pelican Island. Roosevelt would surely be content to know that today the miles of trails that wind through this swampy woodland between Rosslyn, VA, and Washington, DC, have been devoted in his honor. So when you visit Roosevelt Island, be sure to speak softly and carry a big (hiking) stick!